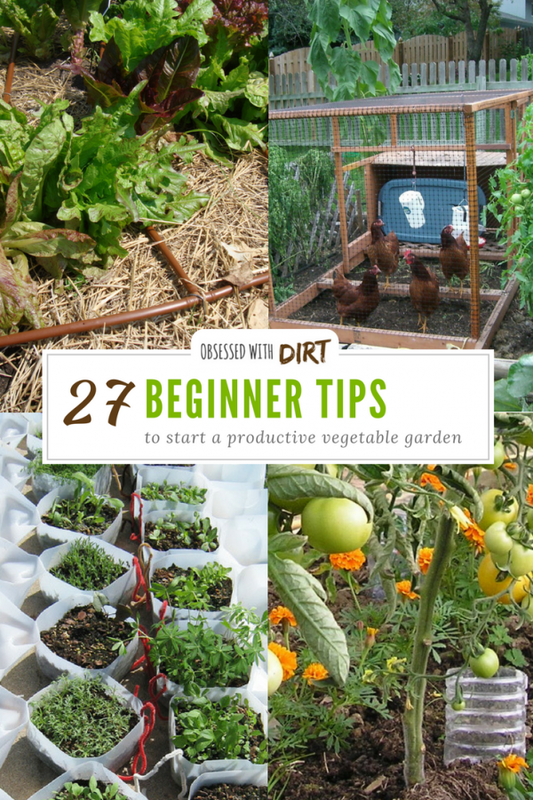 Do you want to grow more vegetables with less effort? Perhaps you’re tired of harvesting all your crops at once and instead you want a vegetable garden layout that gives you a consistent supply of fresh organic vegetables for your family. 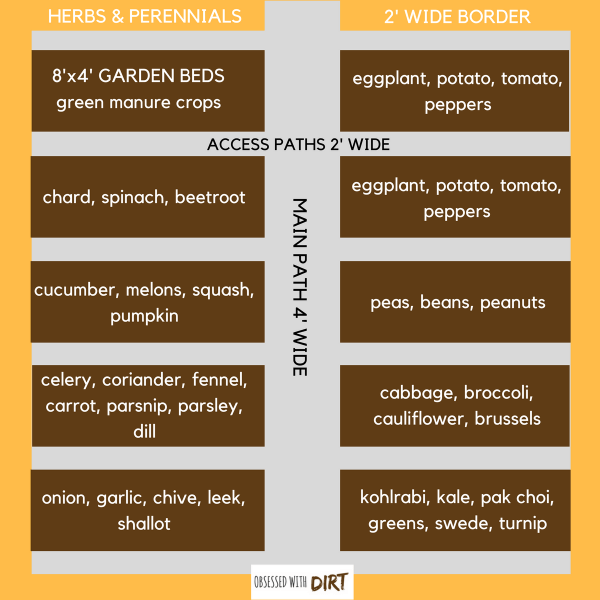 These layouts will help you plan out how much you need to grow, when you should plant it and what to plant next to each other so all your plants thrive instead of struggle. 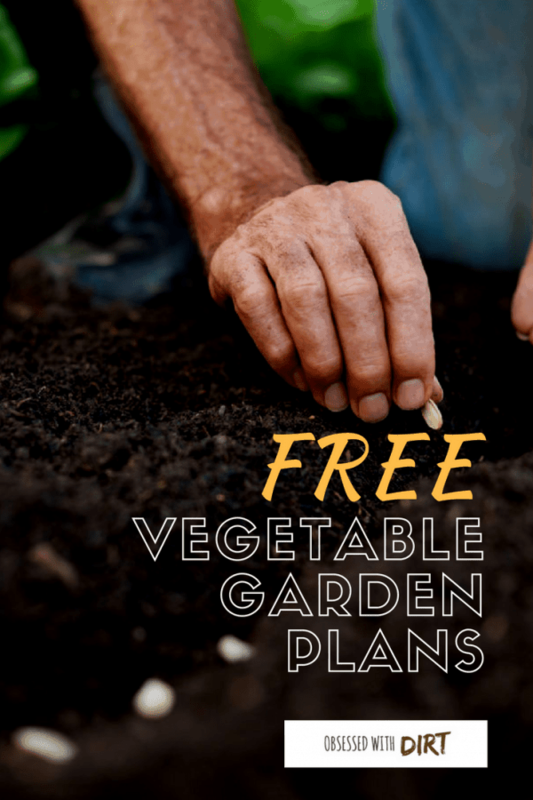 First decide on how big your vegetable garden layout should be and then choose a planting plan that works for your skill level and available resources. Let’s get planning! How Many People Are You Growing For? 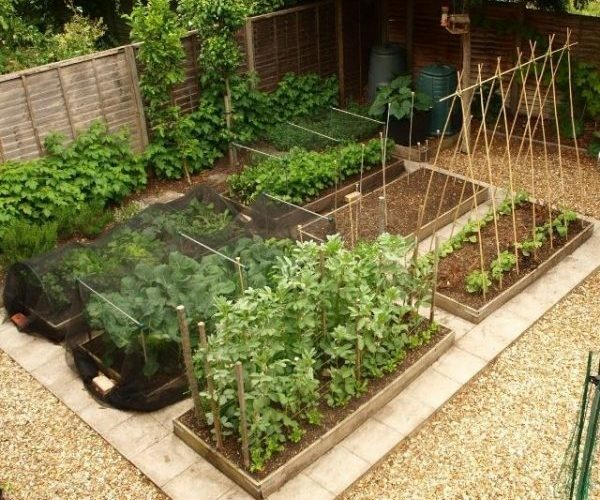 If this is going to be your first vegetable garden then choose one of our smaller vegetable garden layouts to begin with. Big vegetable gardens require a lot of time to maintain, and can be overwhelming for new gardeners. 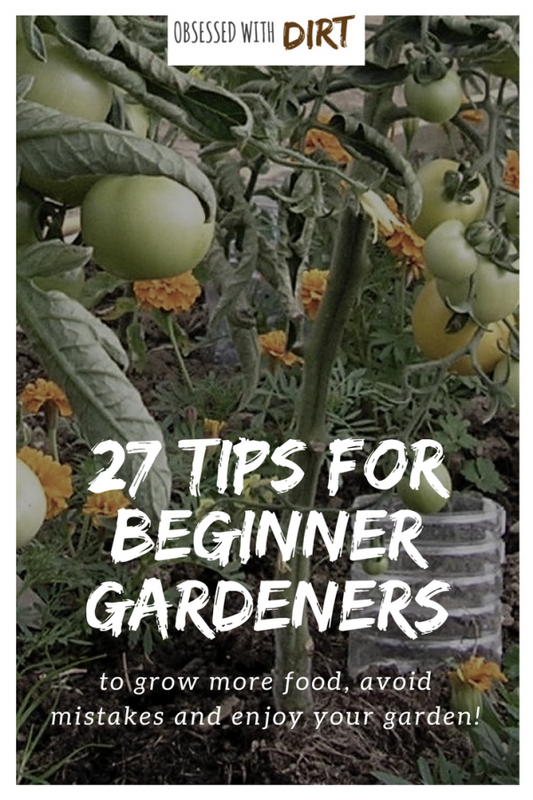 We’ve carefully selected the best crops for beginner gardeners to grow. 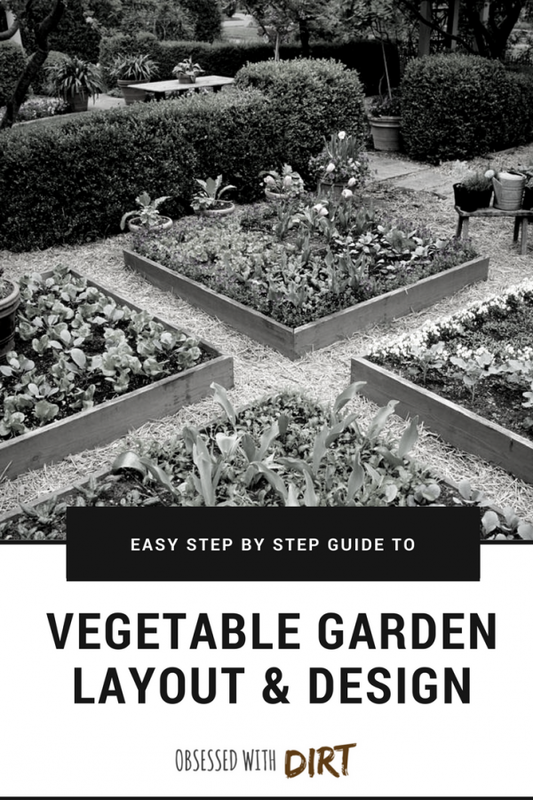 You’ll find that the more difficult crops that require special care and protection from pests are only grown in the largest vegetable garden plans. 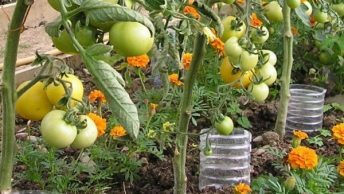 Each vegetable garden plan is designed to get the most production out of the given area with the least amount of effort and resources from you. 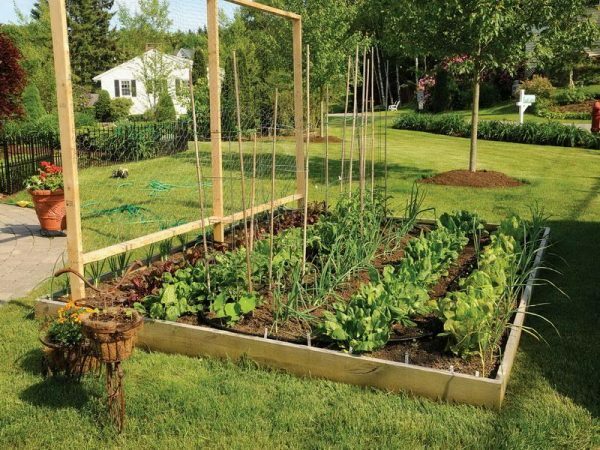 At 4×4 feet this vegetable garden is small enough that you can even fit it on your patio. Don’t be fooled by it’s small size though – we’ve planned this garden to be very productive! 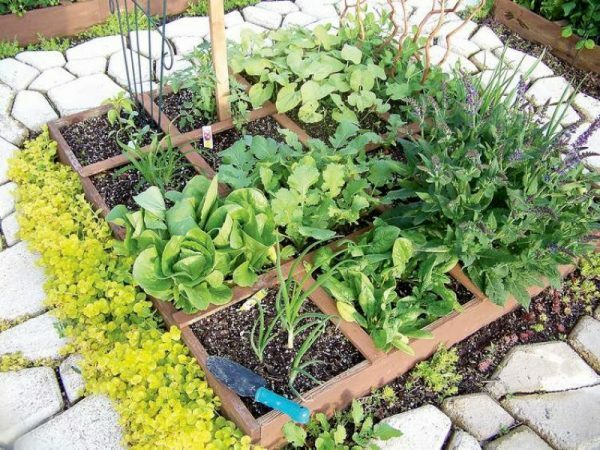 You’ll be following the square foot gardening method, which makes the most use of every available space in your patch. This garden will provide plenty of salad greens and cooking herbs for a small family over the whole summer. 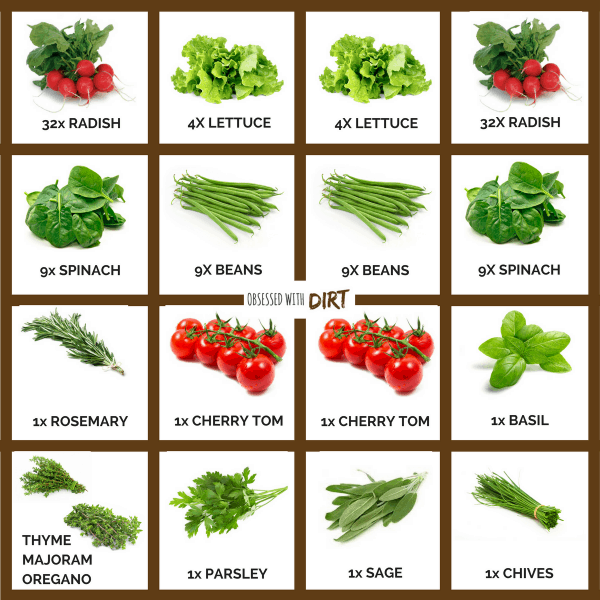 We’ve chosen fast growing crops to give you the most production from a small area. The herbs will help defend your plants from pests and diseases too. 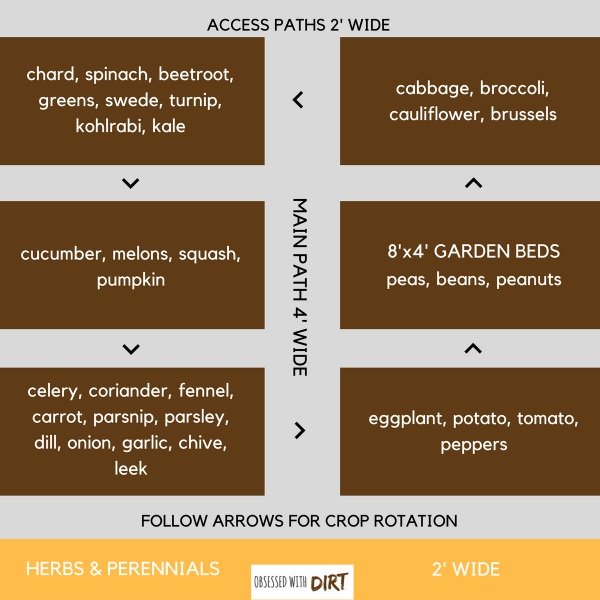 If you want to grow enough food to feed one person over the whole summer then this is the garden layout for you. For this vegetable garden layout we are using the row cropping method. You’ll plant your crops in rows so they are easier to maintain. 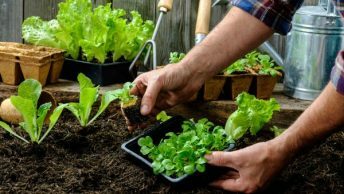 The wider spacing between plants will help them grow without competition, but you’ll need to keep weeds under control and a watchful eye for pests. 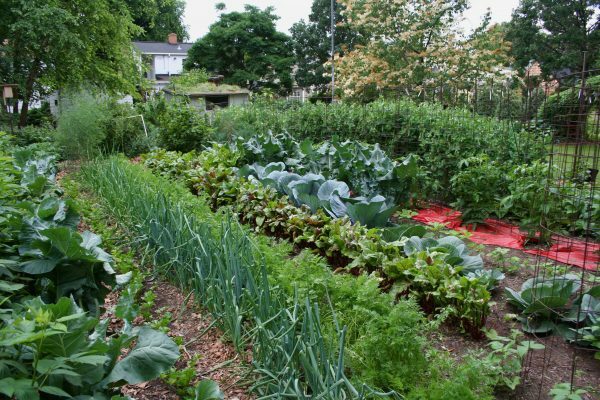 This vegetable garden layout grows crops that require more regular maintenance. But your efforts will be richly rewarded as once these crops start producing, they’ll keep your fridge and pantry overflowing with fresh produce all summer long! We’ve chosen plants that are resilient to pests and diseases, as well as being resilient and forgiving to forgetful (or busy) new gardeners. Perfect for small families, this garden is a great way to get the whole family outside on the weekends. There’s plenty to do each week from training tomatoes (try these fiberglass stakes for the best support) to harvesting pumpkins. You’ll teach your children how to care for something and they’ll actually start to eat their vegetables too! 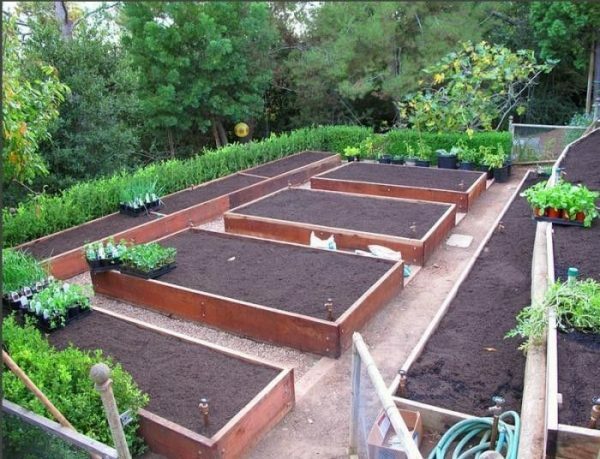 If you’ve got the space, resources and time to grow a larger vegetable garden then this is a great planting layout to follow. Many gardeners make the mistake of over-planting a large vegetable garden, or they plant everything all at once. 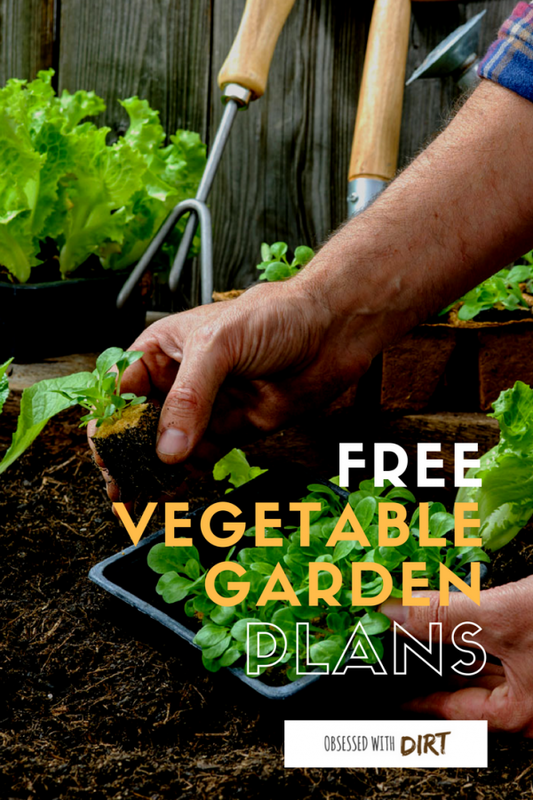 This garden plan shows you how to grow a super productive garden that gives you a variety of vegetables over the whole growing season. We’ve carefully balanced crops that produce consistently over a long period with crops that have one-time harvests. You’ll need to invest more time and resources in maintaining and establishing your garden, but you’ll be richly rewarded for your efforts. 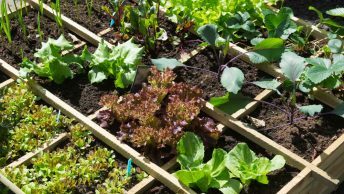 For the more ambitious gardeners among us this vegetable garden plan will keep you busy all weekend long. 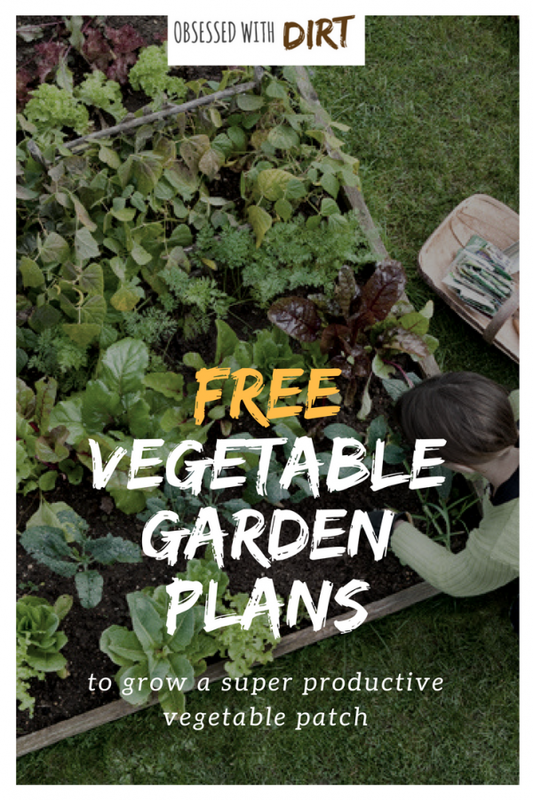 You’ll be rewarded not only with barrow-loads of produce each week but everyone you know will be coming and admiring your productive little patch. 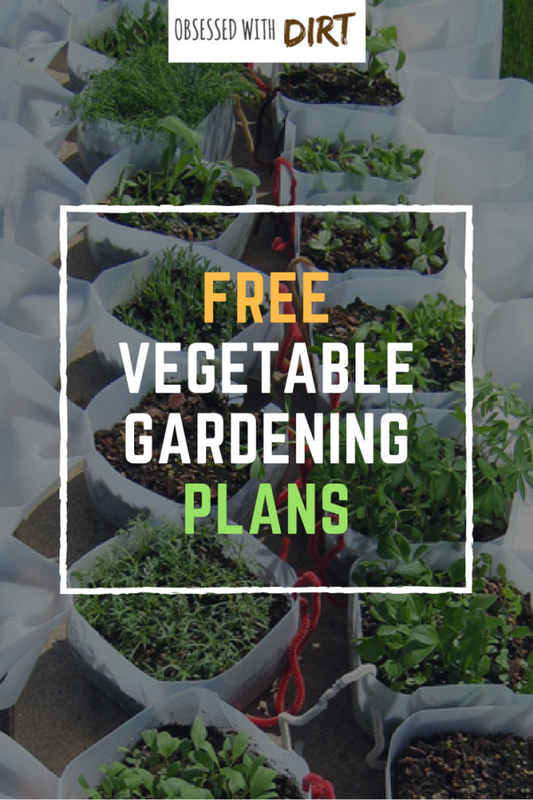 Be warned though – because this is our most advanced vegetable garden plan. You’ll need to have greened your thumbs on some smaller gardeners before attempting this one. If you’ve got the time, the space and the resources then this garden will grow plenty of produce for you to share. You’ll even have plenty for canning and preserving too. The big harvests will quickly overload your fridge and pantry so you might want to consider using a root cellar to store your crops. 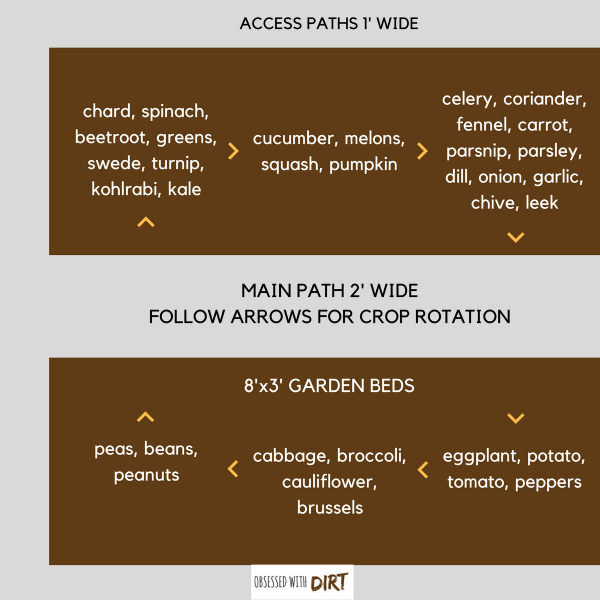 We’ve included a balanced variety of continuous cropping plants that’ll overflow your pantry every week with fresh produce. For this reason we’ve chosen the crops that store well out of the fridge and will keep through the winter. 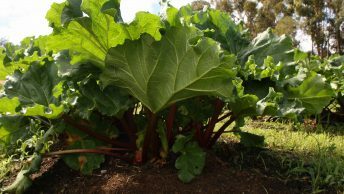 There’s also a variety of one-time crops that you’ll need to plant and replant throughout the season. You can can, freeze and store these however you like – again we’ve chosen the best crops for long term storage. 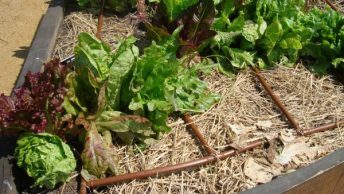 Some crops will take the full season to grow and mature before you can harvest them, but they’ll feed you right through the winter when it’s hard (or impossible) to grow crops outside. 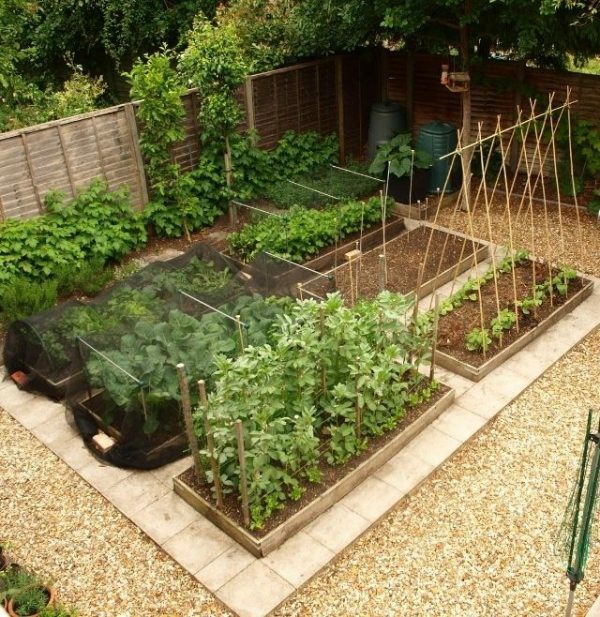 This is every vegetable gardener’s dream veggie patch. Saving your own seed is the best option for growing strong and resilient crops with heavy harvests. However, saving seed can be a little tricky and requires careful timing and a watchful eye to stop accidental crosses. If you’re interested in saving your seeds then Seed to Seed is definitely worth a read. 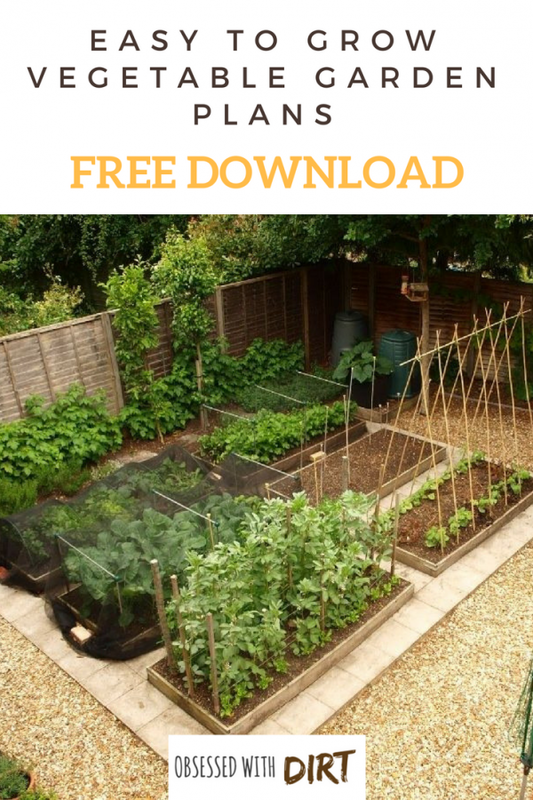 It covers everything from choosing the best plants for seed saving, breeding your own varieties and how to collect, store and germinate your seeds. 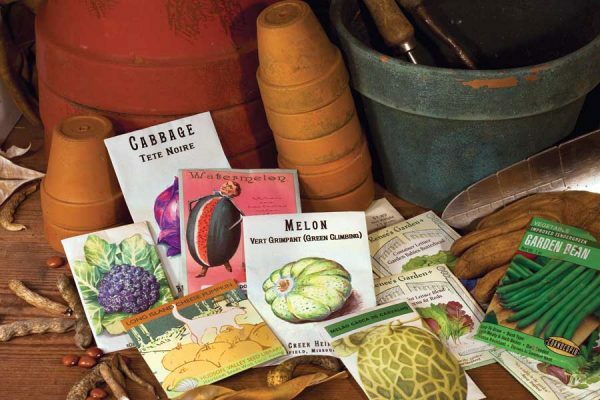 Of course you could just buy seeds from your local nursery or supermarket. But chances are that these seeds will be hybrid seeds (that you can’t save seeds from for next years crops) or they’ll be the same seeds every grower in your region uses. Planting these seeds will make growing your crops all that much harder. They’ll be more susceptible to pests and diseases, because they’re identical to all the other farmers crops. So if one farm gets a disease or pest, it’ll quickly spread across the region and your crops will be easy targets. 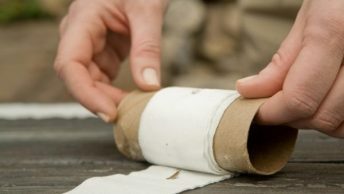 Instead you should try to always get your seeds from an heirloom seed company. These seeds are hand selected every year by backyard and commercial growers from the crops with the highest yields and best pest and disease resistance in your area. Open up a whole new world of flavor, color and choice. There’s beans that taste like butter, tomatoes as sweet as apples and carrots with all the colors of the rainbow. You don’t have to settle for boring white cauliflower heads, you can have green, yellow or purple! The best time to buy your seeds is 3 months before you want to plant your garden. Some seeds you’ll want to start raising into seedlings a month before you intend to plant them. Whilst others you can plant directly into the soil when the ground is warm enough for them to germinate. Where’s the plan for the Backyard Vegetable Garden Layout? I don’t see a link or image for it. I don’t set the links. Are they still available? I realize this is a year later, but great article, thank you!